The easiest way to go seemed to be to get one of those monitored security camera systems from the traditional home alarm companies such as ADT and Vivint. Well, I am so glad I didn’t settle for that! As I built and expanded my DIY security camera system over the years, my initial gut feeling that DIY is almost always better has only been confirmed in more ways than one. Let me show you how! Yes, if you go for a monitored security camera system, you will invariably end up paying a monthly fee for someone somewhere to keep an eye on your cameras. Even though it may look like a small amount, it’s a false economy as the fees quickly add up over the years. Not to mention, the initial hardware cost that you need to pay for. Oh and don’t even get me started on installation fees! With monitored systems, you will also often find yourself held hostage to ever-increasing fees. Remember you bought their hardware so you have a sunk cost that will keep you handcuffed to their services. When you go for the DIY unmonitored security systems and choose an IP camera based security system, we the consumers benefit from the freedom of choice. This is because there are clearly defined standards in the industry such as RTSP that ensure security camera equipment can talk to each other regardless of who makes them. Do you want an all-in-one system that an experienced manufacturer has put together where all you need is just plug-and-play? Go the easy-DIY route and select an easy-to-install security camera kit. Or do you like to research and select the various parts of the system yourself? Go the Full-DIY route and choose your own cameras and NVR (Network Video Recorder) like the Reolink RLN8-410. The choice is yours. The DIY self-monitoring security system lets you start out with a single camera if you wish, and then add more cameras and an NVR when you are ready for it. This is possible because you can get a DIY security camera that has the built-in motion detection and the ability to record to an SD card. It can even email you motion triggered images. This is actually a decent solution while you learn about these cameras. Of course, I always recommend you get an NVR so that you can record video around the clock and should the unthinkable happen and your camera is damaged, you will have complete footage to provide to law enforcement. When you opt for a monitored service, invariably it means your video clips are being sent over the Internet and stored on a cloud server somewhere. This means you are no longer in control of your video content, which may include footage of your loved ones or little ones. Considering the alarming regularity with which cloud services are hacked (iCloud anyone? ), how can I trust my video footage is safe once it leaves my home? I cannot. So it’s best that it remains in my home, safely recorded on my NVR hard drives and nowhere else. There’s one more advantage to DIY security camera systems and self-monitoring security system – they can work even when there is no Internet connection. Home automation has well and truly arrived – anybody can easily set up a smart home these days at minimal cost. But why stop there? Integrate your home security cameras also into your smart home. This is what I have done and it’s possible for free only because DIY cameras support industry standards and do not lock down access to the live video stream. 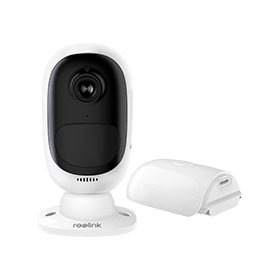 For example, you can configure your Vera Plus smart home hub to pull the live video stream off any camera such as the Reolink RLC-410, in response to triggers from other devices. This could be a motion detector or the doorbell being pressed. The sky is the limit. Now we know we are going down the DIY route, how should we get started? To get started with setting up security cameras yourself, first and forest, choose DIY security camera kits carefully, off-the-shelf cameras like a wire-free security camera is a good starter kit. Assess your surveillance needs and draw up your house layout to pick the best location for the CCTV camera installation. Normally, front door, entrances, and garage door are common spots that require surveillance. Get all necessary tools for DIY security cameras ready, for example, a drill, some fish tapes. Sometimes, a block of wood helps when installing cameras to a metal surface. There are many videos showing how people DIY their security cameras, here is one example. A lot of users report back some nice feedback on some of the DIY security cameras and kits available for home and business. Here are some of them that we believe will make a great starter kit to DIY home security system. Reolink Argus 2 is one of the most popular DIY security cameras available on the market. It’s totally wire-free: runs on the rechargeable battery and connects to the WiFi (2.4GHz). This hassle-free setup enables many homeowners and business alike to simply set it up and forget it. It can be set up in seconds and up and running in minutes. Here is a great video to show how it sets up and works. 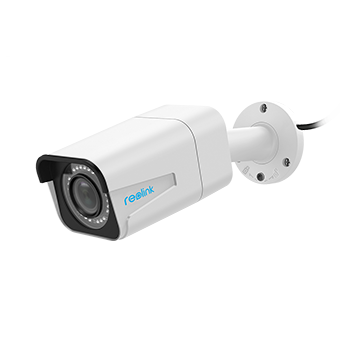 Reolink RLC-511 is a plug-and-play IP camera, with easy setup and installation (single Ethernet cable). 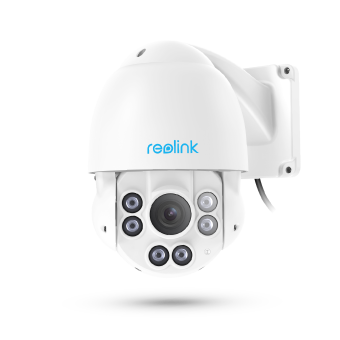 Packed with 5MP HD, night vision & motion detection, RLC-511 is expected to be one of the most popular ones among DIY homeowners & business. RLC-423 surely is one of best-reviewed PTZ cameras for home & business. It’s a plug-and-play DIY security camera for a large area, like backyard, front porch, parking areas. 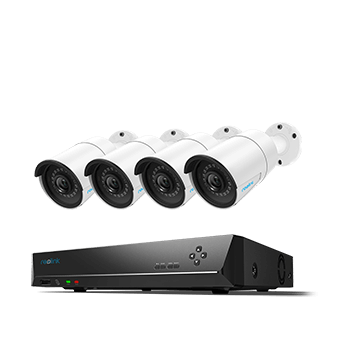 DIY security systems like DIY 4 channel camera systems (Reolink RLK8-410B4) and DIY 8 channel camera systems (Reolink RLK16-410B8) are well-received self-monitoring camera systems. Here is a detailed video showing how this homeowner set up DIY RLK8-410B4 security camera system. This entry was posted in How-to Guide and tagged benefits, DIY Security Cameras, how to diy.